Do you ever have trouble deciding what drink you're in the mood for, or want to try something new but not sure what, or know you had a great drink before but can't remember the name of it? 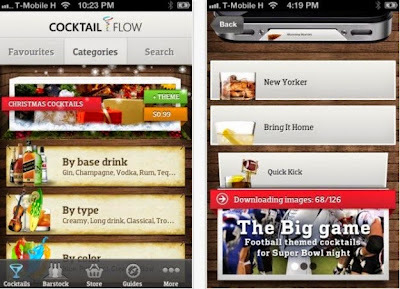 Here are a few great apps that can solve all your libation frustration! There are literally millions of apps out there to download on your iPhone, iPad, or other device, but it can be difficult to figure out which ones are worth a download and which are a waste of time. We’ve done the hard work for you and narrowed down a long list of beer, wine, and cocktail apps to bring you the best of what’s out there when it comes to your favorite libations. 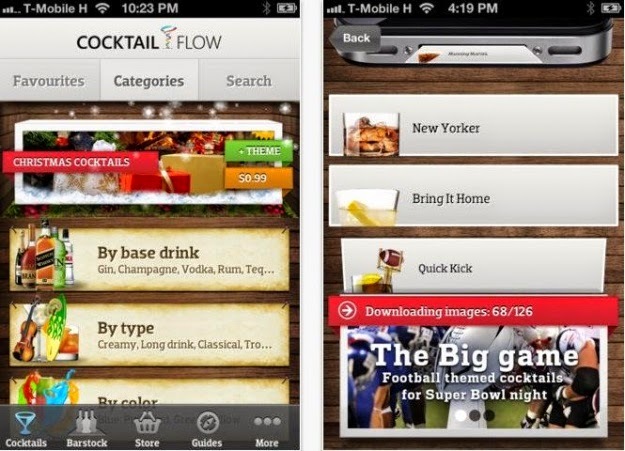 Whether you’re looking for a quick cocktail recipe, a bar that has your favorite beer on tap, or the right wine to buy for your current mood, we’ve got you covered with these fun apps. 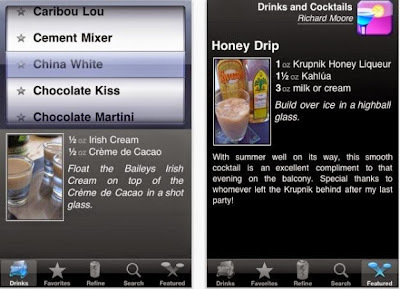 This app is great for learning about cocktails, making drinks at home, or choosing a cocktail when you’re out on the town. You can look for cocktails based on the type of alcohol, by category, or even by color. 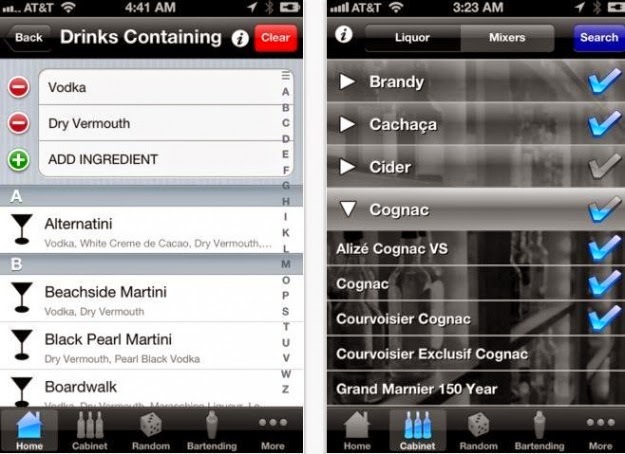 If you’re making something at home, tell the app what you have in your liquor cabinet (in a fun illustrated user interface) and Cocktail Flow will give you recipes based on what you already have. It will also suggest another list of drinks that you could make if you added one or two easy items to your home bar. We like the highly visual design of this app and the variety it offers. This app is on the simpler side and is best used when you’re feeling spontaneous at a bar and want to try something new. The app uses a fun spinning dial to let users scroll through a hand-picked selection of popular, unusual, and classic drinks. Once you’ve landed on one, the app tells you exactly what’s in it and how to make it. If you’re the pickier type, you can search or narrow things down by type of alcohol, but we’ve had the most fun landing on random drinks and giving them a try. If you’re a cocktail lover or a bartending nerd, it’s probably worth the dollar to get this app, which seems to include every possible feature we’ve seen in a variety of other cocktail and drink apps. 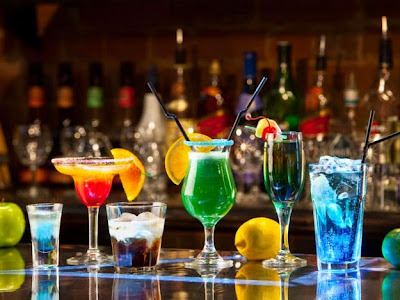 This one has thousands of drink recipes, browsable by category or ingredient, ratings and comments, a top rated drinks section, the ability to add favorites or custom-made drinks, and more. We like that this app also includes recipe recommendations based on what’s in your liquor cabinet, and it even includes useful bartending terminology, tips and tricks, what glassware you should have, and a fun shaker to find a random drink listing. To read the complete article on www.DigitalTrends.com, click here.